Files can be associated with milestones or tasks as either attachments or related files. Attached Files and Related Files behave in different ways, however both are an effective way to link a milestone or task with files that are relevant to a given project. Files that are attached to a milestone or task appear in the Attachments section of the milestone or task's detail page. Once attached, the file is stored locally in the workspace Attachments folder. Deleting a milestone or task with an attached file will move the file to the workspace Trash folder. Attached Files are stored in the Attachments folder of the workspace. When you move a milestone or task to another workspace, their attached files will also move to that workspace's Attachments folder. 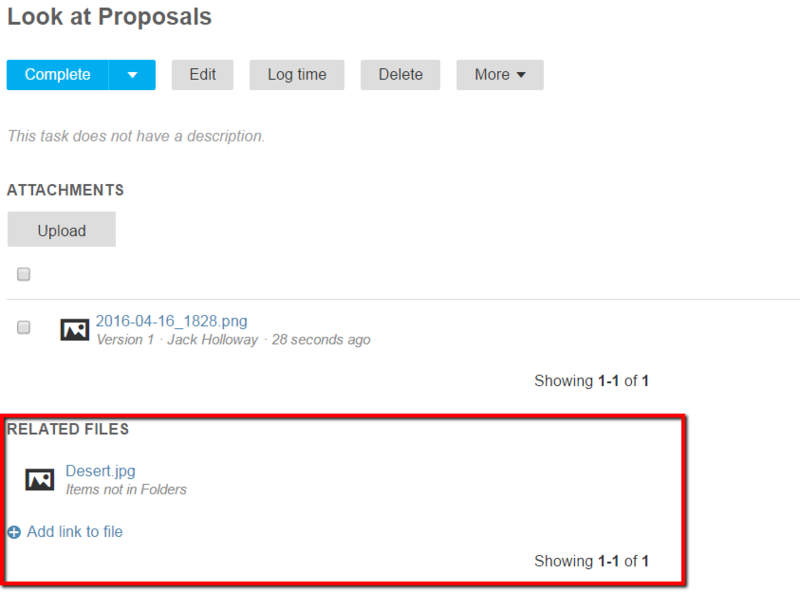 You can Upload files to a milestone or task within the milestone or task's detail page. Uploading a file with the same name as a file that is already attached will create a new version of that file. When looking at a milestone or task's detail page, the drop-down menu next to an attached file will allow you to Download, Edit, Move, Delete, or get a Permalink for that file. Additionally, when viewing an attached file, the milestone, task list, and task that the file is attached to are displayed beneath the file name. You can select any of those links and be directed to the corresponding page in Project Management. 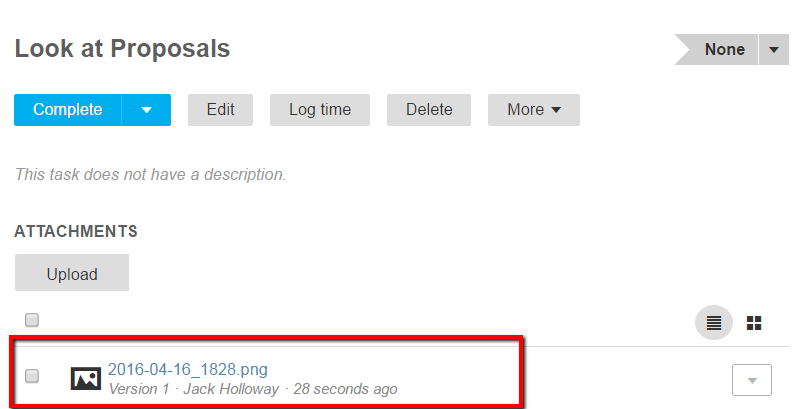 Related files appear in a milestone or task's detail page below the 'Attachments' section. Files can be related to a milestone or task by selecting the Add File to Link option and selecting the file from the dialogue box that opens. You can remove a related file from a milestone or task by selecting the "X" button to the right of the listed file. Unlike Attached Files, Related Files can reside in any folder within the workspace and are not limited to the Attachments folder. You can relate a file to any number of milestones or tasks. When you move a milestone or task that has a related file, the file will remain in its original Workspace. If you delete a milestone or task, its related files will not be deleted. Instead, they will remain in their original folder. When viewing a file that is related to a milestone or task, you will see its relations in the top right corner of the file preview window. You can follow the listed links directly into Project Management. After opening a file from within Files & Discussions, it can be related to a milestone or a task at any time by selecting Edit related tasks & milestones from the file Options menu. Only milestones and tasks from the same workspace can be related to the file.